The Heartland Nationals at Atoka Motorsports Park was rained out on Sunday. They were able to get some racing action in on Saturday. Rod Trower was the #1 qualifier in Top Alcohol with a 2.76 followed by Joyce Risher, David Hauser, and Jeff Sieg. 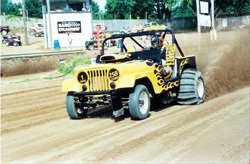 There were 7 Top Eliminator cars that qualified. "Wild Willy" Bill Swim took the Fast 16 Car class on Saturday over James Jackson. Bobby Kincaid was the winner in the Fast 16 Quad class over Hunter Self. The long haul award went to Phil Soper from Laughlin, Nevada. CIDRA held their season opener in Liberty, IN on May 12. Atoka MotorSports Park had its 4th points race of the season on May 12. After a week of rain the track held up great thanks to Track owner Cecil Wilson. The weather was pretty warm reaching around 90 degrees with humidty around 70%. Three Blown Alcohol Cars were preparing for the Heartland Nationals. Lee Lynam and Joyce Risher brought out the Sidewinder from the Dallas Fort Worth Area and ran a 3.23 and 3.15. Derek Howard made 4 runs a 3.58, no time on the 2nd pass, 3.43, and 3.40. Danny Smith from Atoka ran 2 passes 3.73 and 3.83. WMSD held their second test and tune of the 2007 season on Saturday. The track also held the weigh-in for the MSBA Hill Climb which brought out some of the club members to test and tune their rides to challenge the big hill. Here we are again with another month of sand drag racing in the books. If you were to ask racers what their favorite part of the sport is, a lot of people would say going fast or winning but a large group would say it’s the people. I would have to agree with the latter answer in that there just aren’t better people out there than those involved in sand drag racing. Fortunately for me, running NSDN I get the privilege of talking with a wide range of racers, crew, and race officials. 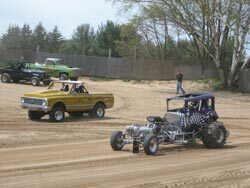 West Michigan Sand Dragway opened its 2007 season on May 5 with its annual Test and Tune. Mild temperatures greeted a decent turnout of racers for the test session. 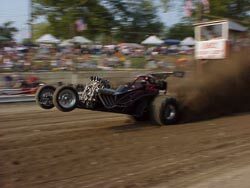 Ed Engel and his Dragonfly buggy ran low ET of the day with a 3.31. Jay Poortenga, Matt Peel, and Mike Bolyard were also testing their Pro Index (3.49-Faster) class rides. Bruce Hartung looks to be in the Pro Index class this year with solid 3.4 passes in his VW dragster. All of us in drag racing, whether it be sand or asphalt, know that bracket racing is the backbone of our sport. Bracket racing is an economical way to get your foot in the door and can teach you important driving lessons such as consistent staging, cutting good reaction times, and driving the finish line. It can also teach you how to build a reliable race car. While some view bracket racing as a stepping stone into higher levels of the sport, there are those that feel there’s no other racing except bracket racing. In asphalt drag racing promoters have recognized this phenomenon and started putting on huge bracket programs with large payouts, and big incentives to draw in more racers. Some tracks are awarding new cars and trailers to point winners. On almost any given weekend you can find a “big money” asphalt bracket race somewhere in the country. 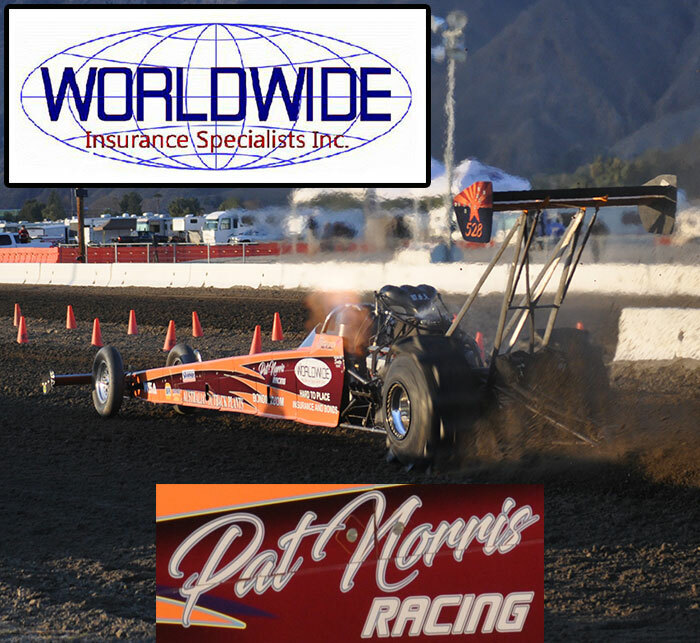 The third race of the National Sand Drag Association (NSDA) season was in Primm, Nevada April 20-22. NSDA’s inaugural trip to the Primm Valley Resorts site saw some incredible racing action.